KIEV, Ukraine -- Ukrainian President Viktor Yanukovych, whose February election was greeted with deep skepticism by western observers and Canada's 1.2 million-strong diaspora, could end up bringing his country much closer to the West, according to a European political analyst and historian. 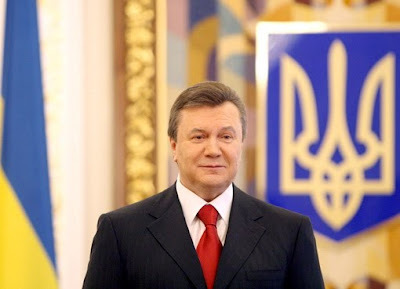 Yanukovych, known as ideologically rigid, socially awkward and politically corrupt, could end up emulating the policy breakthroughs of a politician who shared the same three characteristics - the late U.S. president Richard Nixon. Nixon, known as a hard-line anti-communist when he was elected president in 1968, normalized relations with China and struck a historic arms-control agreement with the old Soviet Union. "Yanukovych could turn out to be better for Europe than many expect," wrote Andrew Wilson in an essay published by the European Council on Foreign Relations. "In fact, he might even become something like Ukraine's Richard Nixon - not because he is corrupt (though that is also a danger), but because like Nixon he may be able to reposition Ukraine in geopolitical terms." Yanukovych's reputation as a pro-Moscow stooge, cemented during his 2004 election as president that was overturned during the Orange Revolution, could present an opening, wrote Wilson, a senior ECFR analyst and author of Ukraine's Orange Revolution and The Ukrainians: Unexpected Nation. "In the same way that Nixon's anti-communist credentials gave him the political cover to engage China, Yanukovych's links with Moscow and his support among Ukraine's Russian-speaking population may make it easier for him to engage with Europe." - The Russian political operatives who staged and financed the massively rigged 2004 election with Vladimir Putin's tacit support are gone, replaced by highly paid U.S. political consultants who have reinvented Yanukovych's Party of Regions "as a business-friendly party along the lines of the U.S. Republicans," Wilson writes. "Yanukovych's victory, therefore, does not necessarily mean that Ukraine will shift back towards Russia, as some in Europe fear. In fact, personal relations between Yanukovych and the Kremlin have not been good in the last two or three years - if anything, Vladimir Putin seemed to prefer (presidential election loser Yulia) Tymoshenko." - The billionaire oligarchs from the Russian-speaking east, who famously fund and control Yanukovych, could in fact be a force in favour of closer ties to the European Union. Trade with the EU's 27 member states tripled between 2000 and 2008, and now exceeds by a third total trade with Russia. "Yanukovych is to some extent beholden to his supporters in Russian-speaking southern and eastern Ukraine," Wilson writes. "But, on the other hand, many of Yanukovych's business supporters, particularly those in steel and chemicals whose companies compete with their Russian counterparts, are interested in European markets and opposed to closer integration with Russia." - Europe's top political leaders, terrified of offending Russia because of their dependence on Russian energy supplies, may have more leeway to embrace Ukraine now that the anti-Moscow president Viktor Yushchenko is out of office. Barriers to greater Ukraine-Europe integration include the ongoing economic crisis, a deeply divided electorate, and chronic political corruption could get worse given the dismal track record of many of Yanukovych's allies, such as new Prime Minister Mykola Azarov, "who was notorious for abusing the tax system to reward friends and punish enemies" while finance minister in 2006-07. Wilson urged Europe to develop strategies to reform Ukraine's gas supply system, combat corruption, deal with security issues, boost trade, and liberalize access to visas for Ukrainians wanting to travel in Europe.